A Futenma-based US MV-22 Osprey lost a large piece of its hull during a flight off Okinawa's coast, causing no injuries or damages. The authorities of Japan's Okinawa prefecture have demanded that the US Marine Corps stop flights of Osprey tilt-rotor aircraft and carry out a comprehensive security check after a piece of one of the jetcopters was found washed ashore on Ikei Island, according to Kyodo News Agency, citing Japanese military officials. The discovered part was a meter-long and 65 centimeter-wide gray metal fragment. According to military experts, the object may be the engine cover of the helicopter-plane. Flights of Osprey aircraft in Japan have attracted attention following a series of aircraft crashes in Okinawa. 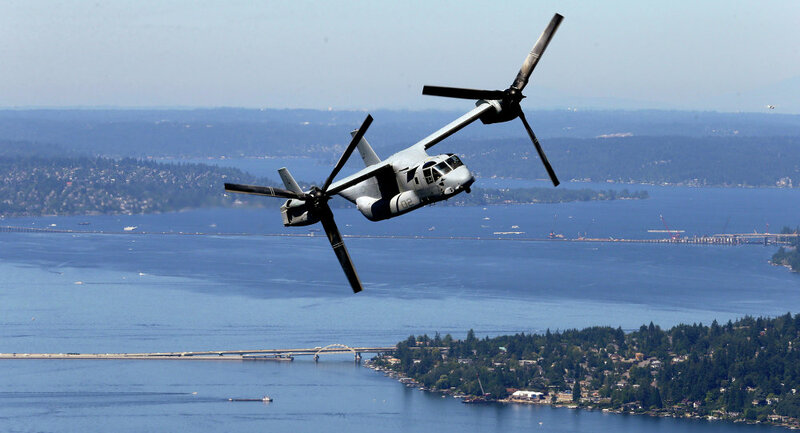 The most recent incident involving the aircraft occurred in Okinawa on December 13, 2016, when an Osprey crashed off the coast of the prefecture during refueling exercises. The wreckage of the plane was found in water. Following the incident, Osprey flights over the densely populated city of Ginowan were suspended but were resumed a few days after.